The Mountain Group at Premier Sotheby’s International Realty offers an unparalleled commitment to locating the perfect home that corresponds with your needs, style, and budget. With a “monitor” on the High Country real estate market and extensive experience, our realtors are able to help buyers assess listings and ultimately make the right decision. From evaluating your needs and identifying potential properties to making an offer and moving into your new home, our team is ready to guide you through every step of the process. Furthermore, we can offer clients a widespread network of qualified professionals in the High Country that provide other related services including appraisals, mortgage financing, home improvement, you name it. 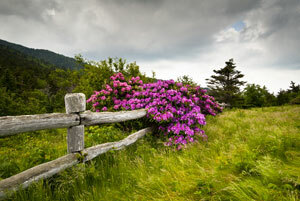 Buying a home in Boone is a major undertaking. It can bring absolute joy or massive stress, sometimes both. The Mountain Group at Premier Sotheby’s International Realty strives to lessen, if not eliminate, that stress. Your home is much more than the house. When you invest in a property, you invest in the area, and in your future, as well. The home buying process is anything but straightforward. Even the most discerning buyer with a portfolio of investments runs into new questions with each real estate transaction. “In what area can I find a home that meets my family’s needs?” or “How long could the home buying process take?” It’s easy to be inundated with information on topics like types of mortgages, negotiating with the seller, and how to handle the entire venture. None of these areas are new to our agents. We will gladly help you process the abundance of knowledge, ensuring you understand the bits and pieces you need to know, and covering the parts specific to our role. Homes for sale in Boone NC are very desirable properties. Finding the right one in this great market will be worth every effort. Our team looks forward to serving you and your realty needs.